Posted on November 4, 2015 by Carolyn S.
With the release of Jetpack 3.8, we’re introducing some great new additions for Google+ accounts and enhancements to existing Jetpack features. We’re also happy that we’ve had some fantastic contributions from members of the Jetpack community in this release. Person badge using landscape layout and light theme. 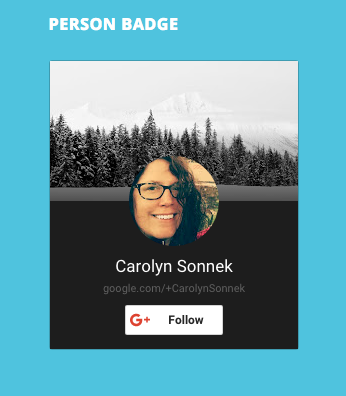 Person badge using the portrait layout and the dark theme. Page badge using portrait layout and light theme. Community badge using portrait layout and light theme. Profiles: Allow people to easily find you on Google+ and add you to a circle directly from your website. Pages: Includes the profile badge features and adds some additional functionality. Communities: Help people find your community and engage with other users on a topic they find interesting. You can configure these badges by width, choose from a light or dark theme, and choose from a portrait or landscape layout. There are more options for each badge version and you can read more about this new addition to our Extra Sidebar Widgets feature. We’ve also heard your requests to add Google+ to our Social Media Icons widget. You can now configure Google+ alongside Facebook, Twitter, and all of our other available options in the widget. Need a refresher on how to set these up? Visit our Social Media Icons support page for more information. We’ve added the ability for you to use a shortcode to embed Twitch.tv videos and streams to your Jetpack-powered site. Simply use the shortcode and you can embed your favorite stream or add your own stream. You can even configure things like height, width, and autoplay. Find out more about the Twitch.tv shortcode. We’ve updated the WordPress Contact Form with some new form options and fixes. First, we’ve added a new “Checkbox with Multiple Items” field to the available contact form fields. Previously, you were only able to set up a single checkbox per field. This option allows you to set up multiple checkboxes all in a single field, saving you time. Also, we’ve improved the styling of the emailed form responses. Now any responses to your WordPress Contact Form submissions will show up in the order you set in your contact form. No more jumbled responses! Lots of new filters to allow further customization of Jetpack. Better error messaging for Subscription Widget sign up forms. Improvements and enhancements to accessibility. We worked hard to make Jetpack 3.8 great and we hope you enjoy it! 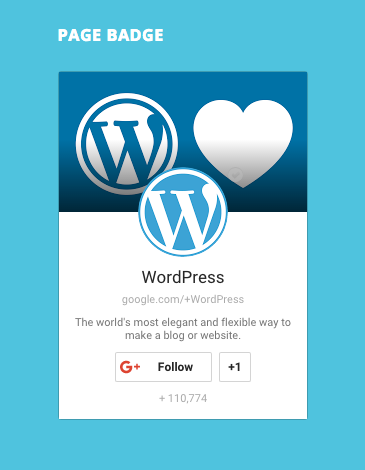 First off, we’d like to thank Daisuke Takahashi for his exceptional work on the Google+ Badge Widget. Takahashi lives in Japan and is currently enrolled at university as a freshman and is a big fan of Open Source projects. He has been an active contributor to WordPress including speaking this past weekend at WordCamp Tokyo. Even with his self-professed “basic English skills,” he had no trouble with working with the Jetpack team on his initial code submission and subsequent changes to the widget. Thank you! Secondly, we want to thank Eduardo Reveles for his substantial issue reports and patch submissions for Jetpack. Take a look at his GitHub profile to see all of his contributions to Jetpack. Thanks again for your help, Eduardo! Want to help us make Jetpack even better? By contributing to Jetpack, you improve the functionality of millions of sites while gaining hands-on development experience. Best of all, people of all skill levels can help — whether you can barely recognize a filter (or don’t know what that means) or you’ve already authored your own plugins, there are ways for you to pitch in. See how you can help by visiting our Contribute page. Adam Heckler, Alexander Kirk, Andrew Duthie, Brad Thomason, Brandon Kraft, Chase Livingston, Corey McKrill, Daisuke Takahashi, Dave Green, Derek Smart, Dion Hulse, Eduardo Reveles, Egill Erlendsson, Elliott Stocks, Enej Bajgoric, Gregory Cornelius, Ian Dunn, Igor Zinovyev, James Huff, Jeff Golenski, Jennifer M. Dodd, Jeremy Herve, Jesse Friedman, Joey Kudish, Jorge Bernal, Kat Hagan, Lance Willett, Marcus Kazmierczak, Michael Cain, Miguel Polfliet, Mo Jangda, Payton Swick, Richard Muscat, Rocco Tripaldi, Sam Hotchkiss, Sendhil Panchadsaram, Stephane Boisvert, Timmy Crawford, and Yoav Farhi. This update removes the number of times shared a blog post. I tried to share, but the counter not works. The counter of twitter only works with the official buttons style, With others not. This is actually due to a change on Twitter’s end. We will no longer be able to display counts on the Twitter button due to their upcoming API changes. I hope that helps to clear things up! There is no way to work around this change, I’m afraid. Twitter is removing the sharing counts, and that will happen regardless of the type of button you use, or the plugin you use. Within the next few weeks, the counts will disappear from the official buttons as well. “Google Matched Content” related feature is really great. I wish JetPack’ Related Posts improve in the coming version. If you have some specific ideas for improvements to the Related Posts module, don’t hesitate to send us an email with your ideas! 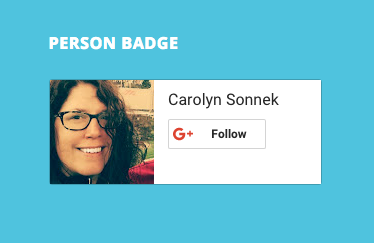 love the new Google+ badge… good work, I would like to see more options for embedding pdf’s other than scribd.. perhaps hosting pdf files on wordpress will be much better. perhaps hosting pdf files on wordpress will be much better. Where can I find the new filters to improve jetpack more? Jetpack includes more than 400 filters at the moment. Some of them are documented in our support docs, others can be checked in the code. If you’re interested in a specific filter, don’t hesitate to contact us, we’ll be happy to help! Cool! I’d lookup the code I’m interested in and if I can’t find it, I’ll contact you. Nice work team but can you please bring more colors or design on sharing buttons please. You can actually use CSS to customize the look of the sharing buttons to fit your needs. You can change fonts, colors, sizes, and many other things. If you’re not familiar with CSS, send us an email or post in the forums, we’ll help! Still i will submit a ticket on the forum today. 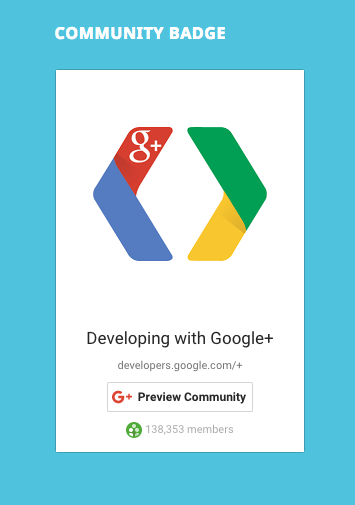 Thanks for working on the Share module but thee are other priorities above a very limited scope G+ badge. I would like to see the share module widgetized. Also would like to see Skype added as a share option. Would you like to add sharing buttons to your sidebar, as a widget? You can follow this tutorial to create your own Sharing widget. If you need some help with that, let us know. Also would like to see Skype added as a share option. That would indeed be nice. However, as I mentioned to you on Twitter a few days ago, Skype doesn’t support non-official buttons yet. I’m afraid we won’t be able to add a Skype sharing button to Jetpack until they do. I don’t know why JetPack is so divisive, you guys are awesome. Keep up the good work.